I've been wanting to try Maile's Thai Bistro for a long time, but I hardly ever make it to the Hawaii Kai area. Thankfully, a Ward Village location opened up recently, and I met a friend there so I could finally try Maile's cooking! Everything we ordered was absolutely delish! 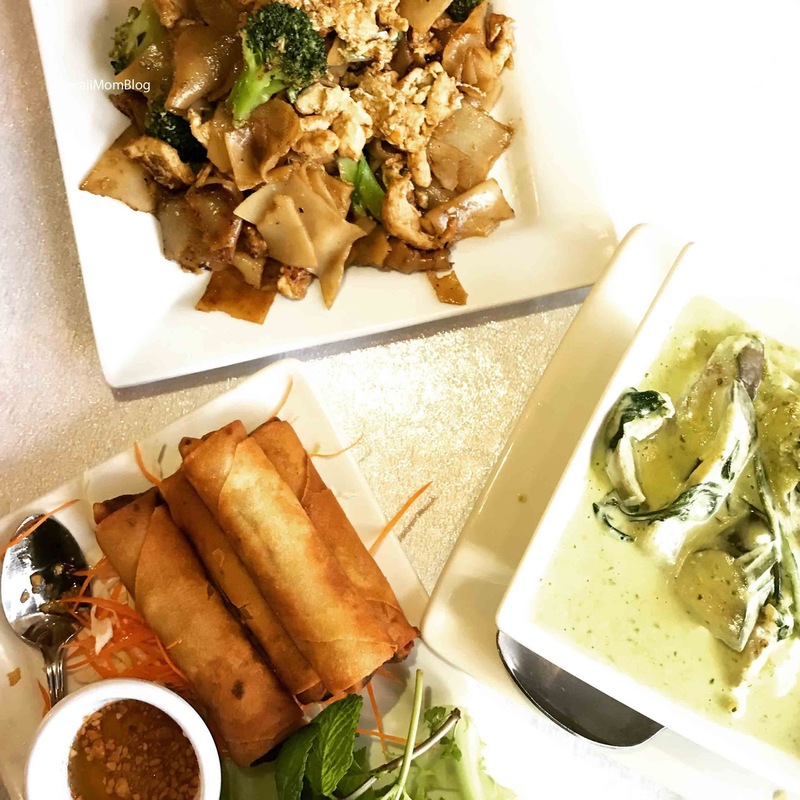 We had ordered the popular Thai Scetta (a twist on bruschetta), but they were out of it, so we ordered the Spring Rolls instead. 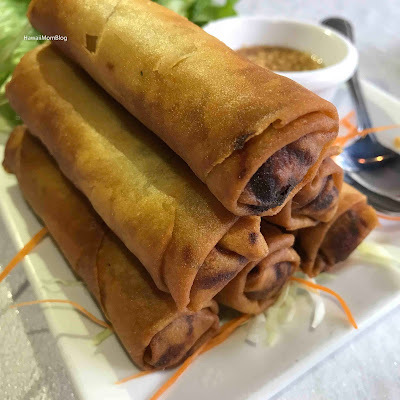 The Spring Rolls were stuffed with pork, long rice, and veggies, and it was hard to eat just one. 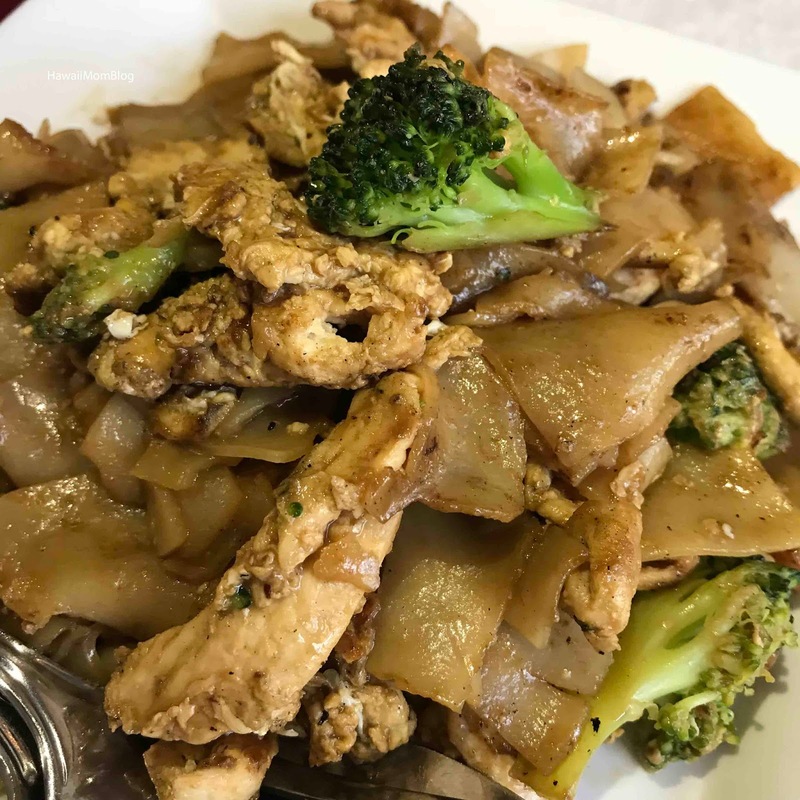 I loved the Pad Siew (I love Chow Fun noodles! 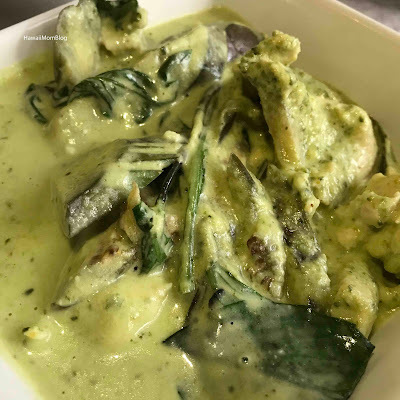 ), and the Green Curry was creamy and so flavorful! Although I thought the prices were a tad high for the portions served, I wouldn't hesitate to dine there again - and hopefully I'll get to try the Thai Scetta next time!